I discovered that a lot of people have been searching for ways they could possibly poke their friends on facebook. 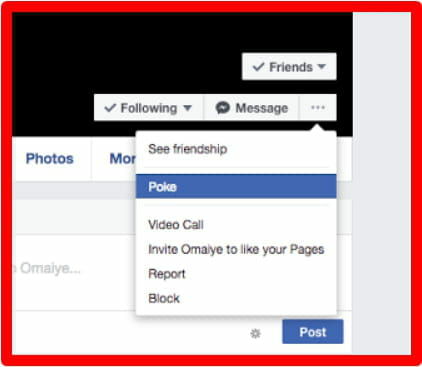 The issue is this, Facebook has given the poke feature a separate link which simply means that the old fashion of viewing pokes on Facebook and poking or poke back friends no longer works. However, nowadays, I tried the above approach but didn't see that poke's option. My question now is how do I go about poking someone on Facebook recently.